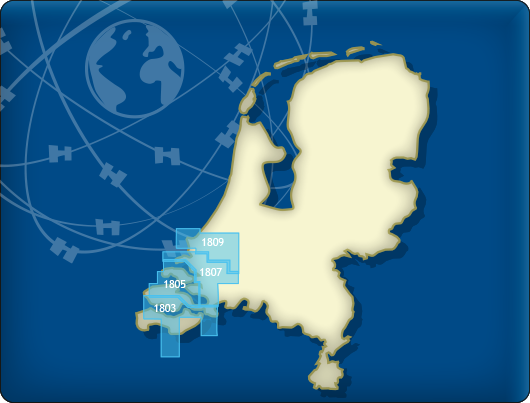 Since 1999 Stentec Software produces the digital versions of the Dutch hydroraphical charts. Thanks to the weekly BaZ Update Service you will always have the latest, most up-to-date charts. At a time like this, where there is no certainty about the releases of the paper 1800 chart series by the Dutch Hydrographic Services, this is a unique product. With the free weekly update service and the ability to use the charts on Windows devices as well as on Android devices, an up-to-date chart of these busy and unpredictable waters is always at hand. As soon as a new paper version of a chart set is released, users can download these directly in digital form. If desired, the charts can also be printed for personal use. The DKW 1810 IJsselmeer covers the IJsselmeer, Markermeer, Randmeren and Noordzeekanaal, including the Markerwadden. The DKW 1800 series contains a clear depth image and is the same as the well known paper version of the 1800 charts. Deep water is white and shallows are shown in different colors. Stentec publishes the DKW 1800 series annually. The data is provided by the Dutch hydrographic service and the free weekly updates are based on the 'BaZ - Berichten aan Zeevarenden' (NtM - Notices to Mariners). User remarks are also screened and added to the charts which makes these chart sets the most up-to-date chart for the Dutch coastal waters. This hybrid chartset consists of, a.o. 1 Overview chart (scale 1:300.000, 32m/pixel). 60 Detailed charts for orientation and route planning (min. scale 1:10.000, 1m/pixel). The DKW 1800 series are comprised of raster charts. Because of this, the charts are an exact copy of the paper versions and you will see pixels when zoomed in to the maximum amount. 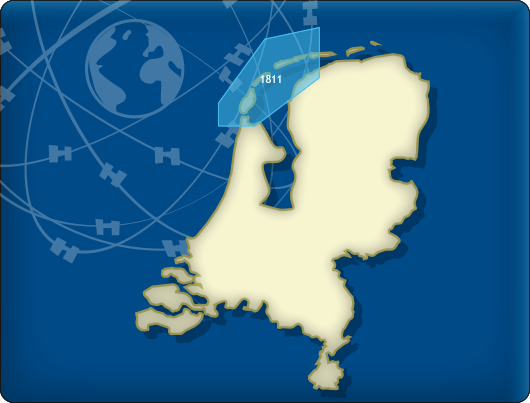 The advantage of this is that all information, for example buoyage or shallows, are projected on the exact coordinates. When using vector charts a misleading image can show up when zooming in. This chart set can be used in the free WinGPS 5 Lite for Windows and can also be installed in the WinGPS Marine apps for Android. For route planning with rotating chart and AIS you will need WinGPS 5 Pro or the paid version of WinGPS Marine. Click here for more information about the WinGPS series. Click on one of the above areas for a direct link to the chart set.